We haven’t seen many big advancements in photo editing software in recent years, but AI based software like PHOTOLEMUR will likely be the future of photo editing for many. Especially high volume shooters that don’t want to wasting time editing images, but like the flexibility of RAW files. The creators of PhotoLemur contacted us a few days ago to let us know about their software and to share it with our readers. I am going to put together a test post in a few days showing my edit vs photo lemur’s edit, but since they have a monthly fee model, that is ramping up in price, now might be a good time to sign up. The software is a little buggy for me at this time, but I’m testing the limits of what it can do. London, UK, April 4, 2017 — Photolemur team announces pre-order of Photolemur for Mac and PC. Photolemur is an automatic photo enhancement tool that runs on artificial intelligence. It analyzes the photo and applies appropriate improvements using 12 technologies. While it has an easy one-button interface for the user, it provides a result that can be expected from a professional photographer working on the photo in a manual photo editor. Almost one million photos have been analyzed to reach this quality of enhancement. Photolemur uses artificial intelligence to analyze the image and apply targeted enhancements. Photolemur recognizes objects, faces, trees, sky, foliage and more; understands the type of photo (landscape, portrait, macro, etc) and applies the appropriate fix based on its knowledge of processing hundreds of thousands of photos in the past. Unlike the Auto Enhance button in some editors, Photolemur doesn’t apply the same preset or a set of “hard-coded” settings onto the image. Photolemur is powered by a number of special technologies, each of which analyzes a certain part of the photo. Color recovery – Restores brilliance of dazzling blues, yellows, and reds — as well as shades in between — by instantly adjusting colors so they pop beautifully. Sky enhancement – Separates clouds from the sky, restores their volume, accentuates detail. Exposure compensation – Detects and compensates for inaccurate exposure settings by slightly lightening or darkening the images. Natural light correction – Considers the time of the day in a photo and adjusts tones, exposure, and contrast to bring out the natural colors and lighting of mornings, evenings, dawn or dusk. Foliage enhancement – Compensates for the lost colors in nature shots. Picks out individual trees, leaves and any other kind of plant or shrub and adjusts colors, sharpness and other features. Noise reduction – Finds and removes unwanted digital noise that results from shooting at slow shutter speeds in low-light situations. Smart dehaze – Detects and removes unnatural haze, fog, mist, dust, smog, and other distracting elements. Tint perfection – Finds the best tint solution — warmer or cooler — depending on several variables. Face retouching – Detects faces, then works to clean up any imperfections or blemishes. JPG fix – Finds and corrects mistakes in JPEG images by suppressing compression artifacts. RAW processing – Analyzes the data in RAW files and provides the best results. Horizon straightening – Adjusts slightly off-kilter horizons or backgrounds. Photolemur for Mac and PC is available from April 18th, 2017, pre-order has started on April 4th. Mobile, online and corporate versions of Photolemur are being developed for launch later this year. During pre-order a limited amount of annual subscriptions will be available for special a price, starting from $1/mo. Photolemur has been initially launched in December 2016 for Mac only. In April 2017, 4 months, 50 000 users and nearly 1 000 000 analyzed photos later new Photolemur arrives on both Mac and Windows after being rebuilt from ground up with new UI and UX and updated algorithms. Photolemur is the world’s first fully automatic photo enhancement solution. With the help of artificial intelligence, Photolemur can improve any photo. Photolemur bridges the gap between what we see with our eyes and the images our cameras reproduce. Photolemur makes photos look as vivid, beautiful and natural as real life. 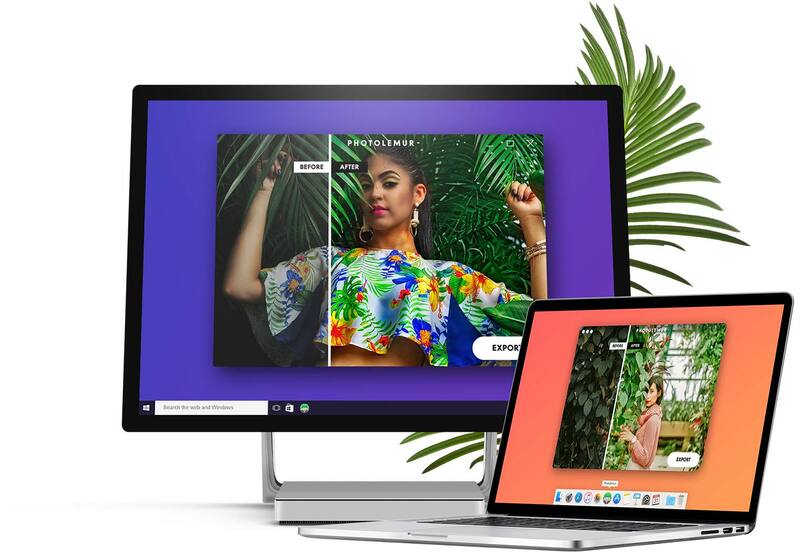 Photolemur’s goal is simple: to help millions of people capture vivid memories quickly and easily, without complicated image editing software. To find out more, visit www.photolemur.com. This entry was posted in Press releases, Software and tagged Fuji Rumors, Fujifilm, Fujifilm Rumors, FujifilmRumors, Fujirumors. Bookmark the permalink. Trackbacks are closed, but you can post a comment.